Audience Response System. Get Immediate Audience Feedback. An Audience Response System is some technology which allows an audience to give immediate feedback to a presenter. It's basically what they used on 'Who Wants To Be A Millionaire' to get the audience to vote for the correct answer when they use a 'lifeline'. 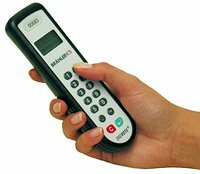 Traditionally in public speaking it's been some sort of keypad, which is available at each seat in the audience. It's normally used to get audience feedback or to conduct audience surveys. As the world goes more wireless, more systems are using mobile phones and the internet. The traditional hardware based presentation tools have been expensive (from about $1500 on up). As a result only larger organisations, parliaments and educational institutions have been the main users. The systems based on mobile phones are much less expensive. One which enables you to text your response costs between $100 to $200 depending on how many bells and whistles you want. Some systems are available for hire. Best of all at least one system is free. It's at votapedia.com. It's not the most intuitive process but you can set up an account online, create a simple survey and then people can vote using their mobile phones. One interesting thing these systems highlight is fear of public speaking within the audience. We tend to think of the fear only affecting the presenter, but most people are afraid to put their hands up in a group, let alone say something. There are obviously many different ways to use systems like these. You're really only limited by your imagination. Obviously if it helps to keep your audience engaged it's a useful add-on in some situations. Of course it's no substitute for a good presenter, so don't get sucked in to building your presentations just so you can use your new toy. Having said all that, why not give it a try. If it helps you understand your audience better, encourages you to practice in front of real live humans more often, and helps you love public speaking even more - then it's all good.